I have read The Collector by Scott and knew going in that Fire & Flood would be a completely different type of book, and it was. The pacing was fairly fast especially after the midway point. I felt that I had created expectations based on some comparisons I’d seen (Hunger Games in particular). Because of this I expected more blood, higher stakes, and a much more brutal race (especially with the epic name Brimstone Bleed). Because of this comparison (that for the life of me can’t think of where I’d even seen that) I thought this was a dystopian, but it was not. I’m not sure which genre it would belong too but Tella’s world seems very much like our own. As Tella’s journey began it felt tame and I kept waiting for the stakes to be raised (what happens if you lose the race? Was there any hazards beyond nature?). I admit it was rather difficult for me to get invested in the story and Tella for the first third. I was terrified that I wouldn’t enjoy it because I had such high hopes and it wasn’t fitting the mold I had unintentionally created. As I continued to read I began to find myself flipping pages faster and some of the twists that Scott pulled I didn’t see coming (one in particular had me put down the book open mouthed). The race started to earn it’s name and I was much happier with the second half. I was relieved that I started to worry for Tella and I wasn’t sure how Scott was going to wrap things up. Fair warning- this book only contains two of the four legs of the Brimstone Bleed. I felt that Scott wrapped up the story arc for this first book but left us with two more races to go. One of the reasons I had trouble with Fire & Flood in the beginning was because Tella was very difficult for me to relate to. I felt that her narration was very juvenile and I couldn’t connect to her, though I wanted to. As the story continues this began to change; I don’t know if her character had significant growth or that she grew on me but I became very invested in her and her story. The side characters were well done and I felt that they enhanced the story because I could understand each of their plights. Well, all of the side characters save one. A specific character felt very one sided to me because I was never able to grasp the reasons behind his actions. This was doubly disappointing because he was intended to be a villain. I didn’t feel that any reason was given for his cruelty and I never had a clear read on his personality or motivations beyond his blanketed brutality. I like my ‘bad’ guys to walk the line of good and evil and have depth in their motivations. 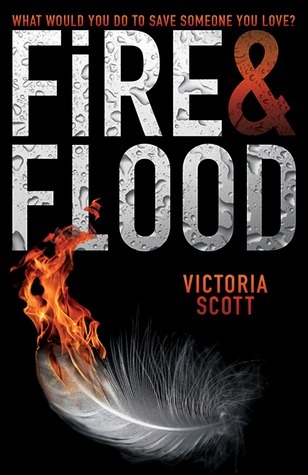 There was a romance in Fire & Flood and I thought it was obvious exactly how it was going to play out but was still very well done and easy to get behind. 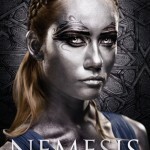 I felt Tella and this character had good chemistry and banter, making their interactions entertaining and believable. I look forward to seeing more of the two of them. To my surprise, I really enjoyed the animal companions, Pandoras. When I heard that the book included animals with special skills I feared they would be a tiny bit cheesy or too much like reading Pokémon. I was relieved and impressed with how well Scott was able to add them seamlessly into the storyline and I ended up getting rather attached to a few of them. Fire & Flood was a departure in style from the Dante Walker series but I believe her fans will enjoy this book as well. I had some trouble in figuring out how I wanted to rate this book. I chose 3.5 because of the reasons listed above including the story’s villain feeling flat and my slow start in connecting with the main character, Tella. That being said, Victoria Scott was able to create a cast of characters different from the others I’ve read of hers, yet able to keep her style and witty dialog. « Discussion- How Do You Rate Books? I am quite excited for this book, the premise sounds so original! Now I’m sure I will enjoy it even more since I know from your review what not to expect! I think you’ll like it Pili…I’m excited to hear your thoughts when you read it. I’m wondering if what I expected it to be hurt my reading experience. I really hate it when that happens. Thanks for stopping by Ailyn…glad the review helped you decide if you wanted to read this one or not. I’m truly excited for his and be honest and didn’t read your full review. I try to be objective once I start it because I am do super excited and do not want to spoil my excitement. I completely understand! I try to keep myself from knowing much if anything about a book I’m looking forward to as well. I can’t wait to hear your thoughts after you’ve read it! Uh-oh. This does not bode well. Haha. I fell in love with Scott’s writing in The Collector, and it would be a tad shame if the heroine’s narration is juvenile as it was Dante’s narration that made me like him so much. I know it’s a bit unfair to compare COMPLETELY different characters but hnnnng I can’t help it. Haha. At least I know now what to expect 🙂 Great review! I honestly can’t say if the MC was juvenile at the beginning or if I was just not in the mood for the writing style when I first started. As I read though I got more and more attached to her. I’ll be curious to see what you think when you read this. Okay, I’m not going to read the review. 😉 I reeeally want to read this book! But I’ll try remember to come back when I’ve read it. I know what you mean I don’t read reviews (often times) until I’ve read the book and written my review. Don’t want to have my opinion changed or swayed. This one was so hard for me to rate (as a lot of books have been for me as of late). I can’t wait to hear what you think once you read the book. I feel terrible that I’ve never read any of her books, but it’s true. Maybe I’ll start with this one! Hmm, I don’t like the sound of not being able to relate to the main character but everything else seems positive. I haven’t read anything by Scott yet but this one does sound much different than The Collector. Hopefully you’ll be able to relate easier. I wonder if it had anything to do with my mood at the time. I skimmed your review afraid of spoilers, since you warned at the start. I’m glad that you could relate to Tella eventually! I love those characters than somehow latch onto you despite not liking them at first. I can’t wait until you read this Mel–is it on your upcoming to read list? Please, Jen, read this soon. I would love to discuss this with you in detail. I was so mixed for a large chunk of the book. The mid-section sort of rocked my world so redeemed an otherwise slow start for me. The villain is mean and cruel but I didn’t get anything beyond that from him. I like to really get to know the bad guys too. I’ve not read The Golden Compass…interesting to hear if they compare once you’ve read. It had it’s moments and I’ll read the next book in the series. I’m not sure if you would like it or not. The writing might not be your cup of tea…so hard to say though. I actually had pretty mixed feelings about The Collector (skewed less enthusiastically than positively, I’m afraid), so I’m actually glad to hear that this series sounds so different! I’m glad to hear the animal companions are done well, too. I love daemons like the ones from His Dark Materials, but they can be really hard to pull off. 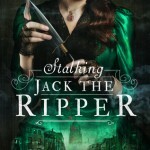 I found The Collector very fast paced and enjoyed the beginning more than the end. I’ve yet to read The Liberator but everyone seemed to have enjoyed it. The atmosphere of F&F is very different though it still has Scott’s signature writing style and humor. I’ve not ever read His Dark Materials! I’ve seen it referenced twice in regards to this one and I wish I could compare. Looks like I’ll have to make rooms sooner than later to read those.